Lego Mosaics are a great fit for pixel art. The standard 2×2 and 1×1 brick is a perfect match for a pixel. The constraints put onto this style of building can make for wonderful results. A great mosaic can even be created with a relatively small collection. 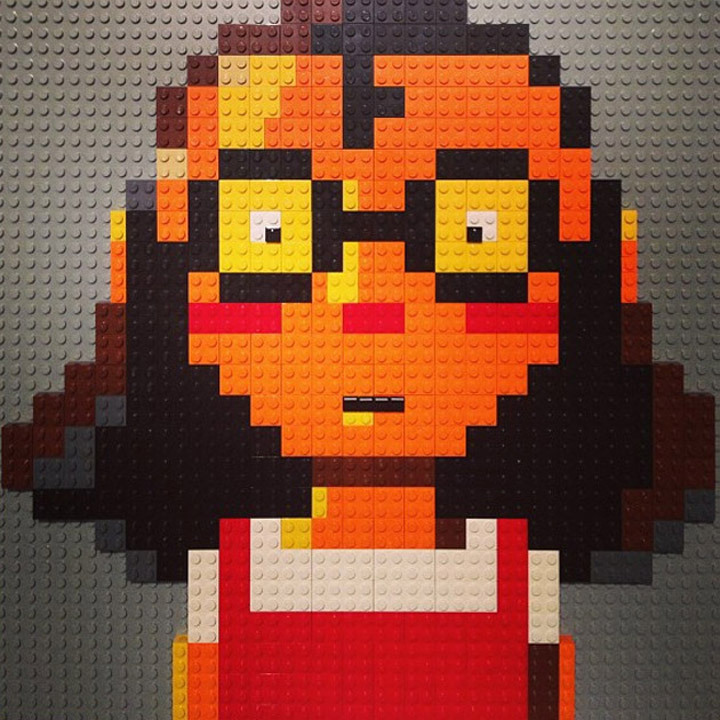 Hilary Leung’s Lego Mosaics started out how most projects do, as a neat side project. His inspiration is to create a book to give to his son showcasing the idea to “Make Something Cool Every Day.” At the beginning of this year, he started creating 8-bit animals and posting them on various websites. These little 8-bit animals have so much personality. There are 31 of these in the series, ranging from a beaver, to a donkey, to a tiger, and even a snake. The key to these animal mosaics is the eyes. The theme changed slightly after a month, to creating mosaics based on Hilary Leung’s list of top 28 picture books. These 28 mosaics are all extremely well done and instantly recognizable. Featuring such picture books as, Where the Wild Things Are, Harold and the Purple Crayon, Olivia, Curious George, the Sneetches, and many more. Ultimately being limited to a relatively small selection of colors can create interesting solutions, and these mosaics are better for it. You can find Hilary Leung on Flickr and on Blogspot. 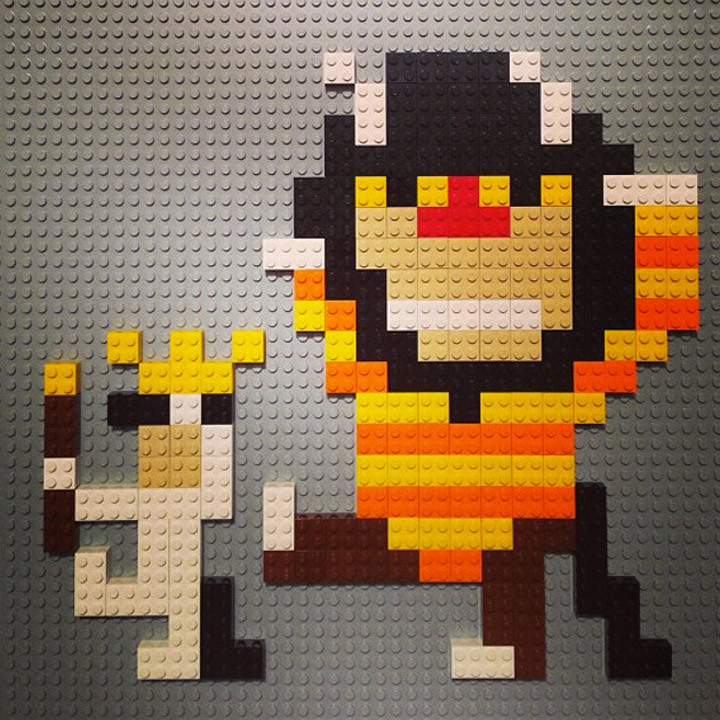 His “Make Something Cool Everyday” set on Flickr is a great place to see all 69 mosaics. Hopefully more are on their way. Not only has Hilary Leung created these mosaics but he is also an illustrator. He has a series of picture books out titled Ninja Cowboy Bear. The trilogy is available on Amazon: The Legend of Ninja Cowboy Bear , The Way of the Ninja , and The Call of the Cowboy . Make sure to check them out.